A wider vocabulary can help you be understood and understand others better. This can, in turn, improve the way you relate to the world. If you require assistance to build yours up, follow the tips mentioned in the post below. In order to build your vocabulary, you need to come face to face with unknown words on a regular basis. To that end, it is recommended that you make a habit out of reading, as it's likely you'll find words to add to your vocabulary. Once you encounter those new words, you will need to have a dictionary close by to verify their meaning. Not only should you search for their definition, but you should also ensure that you actually understand the word's meaning and how it's employed. In order to include those new words in your vocabulary, you need to write often. Make it a point to use those words, so they can become part of your regular vernacular. It's also recommended that you have conversations with other people. While you do, you can pay attention to any new words they use, and how they employ them. Likewise, make an effort to sneak in your new vocabulary into what you say. Finally, play around to improve your vocabulary. 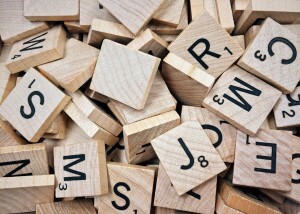 Certain games such as Scrabble, crossword puzzles, and some apps, are meant to help you build on your vocabulary in a fun way. Enroll in one-to-one tutoring in Navarre FL. Call The Tutoring Center, Navarre FL at 850-939-5384 to learn more about their academic programs, or to schedule a free consultation.